It was women who carried the United States when the team was looking weak toward the end of the 2018 Olympic Winter Games. Of the 23 medals won by the U.S., 12 were won by female athletes and two more were won in mixed events. It’s the highest-ever percentage won by women at the Winter Games when Team USA has won more than 10 medals. 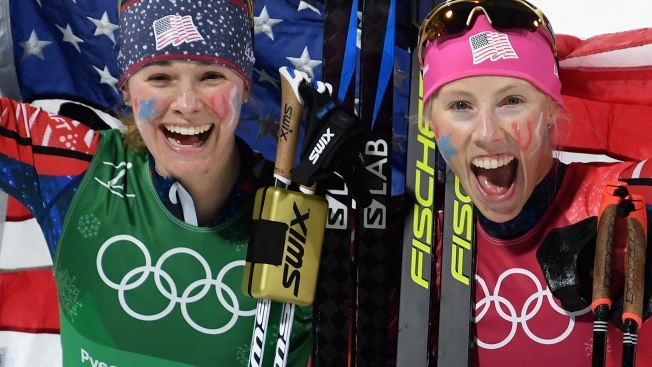 From Jessie Diggins, who helped snap a 42-year medal drought in cross-country skiing, to the hockey team that dethroned Canada, the four-time defending Olympic champions, women shined and gave life to a Team USA that was in desperate need of celebration in the final stretch of the Games. "It's pretty incredible how strong our women's teams have been," said Olympic Alpine skier Mikaela Shiffrin. "Definitely in this day and age with females breaking out and creating something bigger than just sport -- it stands for something." Dr. Terri Boyer, director of the Anne Welsh McNulty Institute for Women's Leadership at Villanova University, said that "perhaps more than others, women athletes have often been 'take charge' people." "That said, I think that women across all sectors and industries have been moving towards change which empowers women more in the last year and a half or so," she said. It’s hard to pinpoint the exact moment this "movement" began, Boyer said, but the last year has been "one of reckoning for women," confronting issues including harassment and discrimination. "I think the wins of the women on Team USA are a perfect metaphor for how women are rapidly asserting more power in every facet of American life -- from sports to politics to entertainment," said Dr. Kara Alaimo, an assistant professor of public relations in Hofstra’s Lawrence Herbert School of Communication. One of the assertions of power was seen with the rise of #MeToo. It started after sexual assault allegations against Hollywood producer Harvey Weinstein in October, which led to his removal from his company. The women who came forward about Weinstein opened the door for others to share their experiences with Weinstein and other powerful men in Hollywood. Kevin Spacey, Louis C.K. 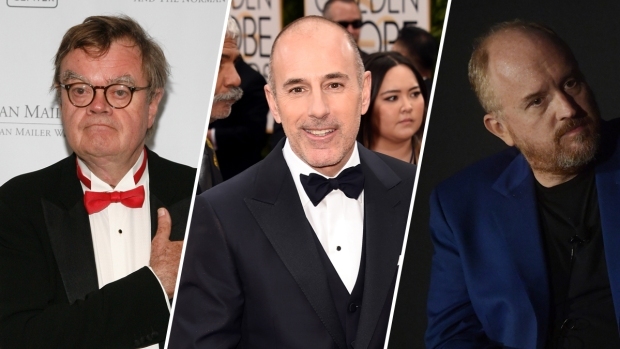 and Matt Lauer were among the men to lose projects, roles and jobs amid high-profile sexual misconduct allegations. Women began using the hashtag #MeToo on social media shortly after the Weinstein allegations to share their stories and find solidarity in each other’s experiences. Those stories sparked national conversations. 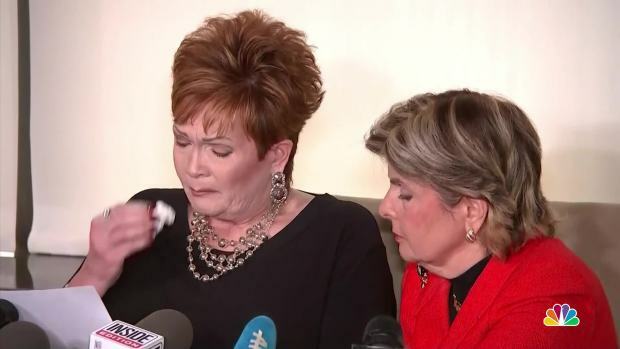 Beverly Young Nelson alleges that Roy Moore sexually assaulted her in a car when she was 16 years old. 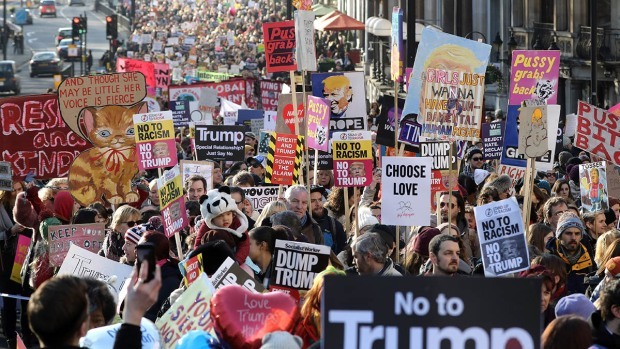 "We are witnessing the power of breaking a collective silence and the world is splitting open," said Dr. Michele Tracy Berger, a professor of women and gender studies at University of North Carolina-Chapel Hill. "Dismantling the behaviors, beliefs and power structures that makes sexual misconduct and sexual violence possible has been a priority for many self-identified feminists and people working for gender equality since the second wave women’s movement of the late 1960s." The calls for social change in America today take a different shape from previous feminist movements, Berger said. Women are empowered through social media, celebrities who are speaking up and the institutions that are willing to punish predators for their transgressions. "The #MeToo movement has its roots in generations of feminist activists who paved the way for it to be possible for us to demand change so vehemently now," said Alaimo, who writes frequently about gender issues. It wasn’t just the entertainment industry that felt the power of the #MeToo movement. U.S. Sen. Al Franken, D-Minn., resigned amid reports of sexual misconduct. And the Republican candidate for an open U.S. Senate seat, Roy Moore, was accused of sexual misconduct with teenage girls when he was the deputy district attorney of Etowah County, Alabama. Moore lost the special election to Democrat Doug Jones in December. Women have been calling out their abusers in politics, but they have also taken on campaigns and offices of their own. There are 22 women in the U.S. Senate and 84 in the House. At the state and local level, women represent about 20 percent of elected officials, according to Rutgers University’s Center for American Women and Politics. Those numbers could drastically change after the midterm elections in November, as a record number of women are running for office, according to statistics from the Rutgers center. The House shows the largest spike in female candidates; as of Feb. 26, approximately 441 women -- 343 Democrats and 98 Republicans -- are expected to run in 2018. One of the women emboldened by the Women’s March the day after President Donald Trump was inaugurated was Rachel Crooks, who will be a first-time candidate for the Ohio state legislature. Crooks is one of the 16 women who have accused Trump of sexual misconduct; he allegedly kissed her without consent in 2005. She said the unwanted encounter was another inspiration for her to run for public office. "But choosing to run for office in Ohio is not really about what Trump did to me; I’m running because his election and the actions of our political leaders since then have demonstrated to me that there is a lack of honesty and integrity among our government officials and a lack of desire to bring about change by actually serving constituents," Crooks wrote in an opinion piece for NBC News. Alaimo believes that all of the instances of women empowerment are interconnected and dependent on one another to succeed. "Women can't achieve equality in politics, for example, without the same kinds of wins in business, entertainment and sports," she said. "What needs to change is how every member of society -- both men and women -- view and treat women." The best way for that change to stick, Alaimo said, is through social pressure to treat women with respect, which Americans have begun to see. "Men abuse women partly because our society has in the past taught them not just that they can get away with it, but also that such displays of toxic masculinity are somehow esteemed," she said. "But now, men who treat women this way are becoming ostracized in America." 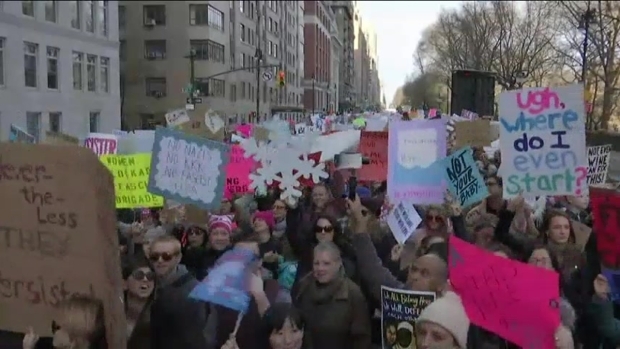 People participated in women's marches nationally with a message of taking action. Last year the marchers voiced their discontent. This year, they are pledging to vote, run for office, and elect new politicians in the 2018 midterm elections. According to Boyer, a major key to the women’s movement is how empowerment is occurring almost simultaneously across many areas of American public life. The collective actions "across sectors and industries will be what makes a difference in impacting real change," she said. After winning gold in Pyeongchang in the women's cross-country team sprint, Diggins said she felt inspired and supported by the women of Team USA. "I feel like I've learned so much from every woman on this team," Diggins said. "Both our team, and then being here at the Games with the greater Team USA, has been so cool -- getting to meet all these amazing women who are so strong, and so powerful and so good at what they do."